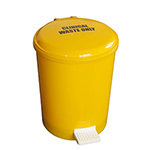 Our clinical waste bins are ideal for the disposal of medical waste. 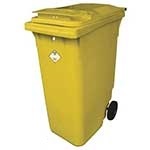 Choose from a range of sizes, each offering different capacities from the 80 litre wheelie bin to our 1100 litre bin. 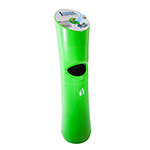 Alternatively, if you need a smaller bin we also offer pedal bins that are available in a number of sizes, and these are also supplied in small packs for added value for money. 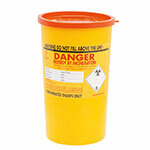 Finally, we also supply our Sharpak Disposable Sharps Bins; this bin is ideal for the safe disposal of contaminated sharp objects such as needles and other medical equipment. 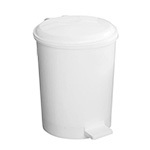 These St John Ambulance approved bins come in 3 different sizes (1.58L, 5L and 6L) and their durable plastic construction and lid minimises the risk of further contamination.